I love baking. Especially cakes. Give me cake for the rest of my life, and I’ll live on it happily. I’m one of those people who will buy a cake for myself and eat it with a fork. Any occasion is better with cake, whether it’s a wedding, a birthday, or a week night dinner. Last week was my friend’s birthday. I love baking for my work friends on their birthdays, but I didn’t have time to make something from scratch, since it was mid-week. I’m also a little rusty in the vegan baking department, so I didn’t want to risk bombing a recipe and showing up empty handed to work! So, I decided to finally try the Cherrybrook Chocolate Cake mix from Whole Foods. I’m not usually a fan of box cake mixes. To me, they always taste like chemicals, and the texture is always a bit off – either they are too airy and artificial, or they are rock hard and flavorless. However, Cherrybrook Kitchen makes excellent, all-natural products. I’ve had their chocolate chip and sugar cookies and pancakes before, and those had always gone over well with non-vegan crowds. 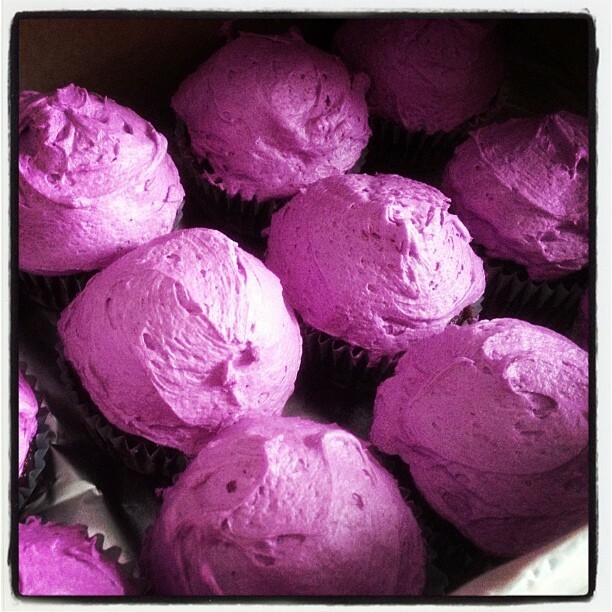 I tried these cupcakes a few years ago when one of my friends made them, and I loved them! The good: The cupcakes are are rich and chocolatey, and even have mini-chocolate chips in the mix. The mix is simple to make, requiring you to add only water and oil. You could even add more chocolate chips if you wanted to be really indulgent! The bad: Price. I think I paid almost $6 for this mix. That seems a bit steep to me, seeing as it yields only 12 cupcakes. However, that could be more the fault of Whole Foods than Cherrybrook Kitchen. For some reason, whenever I make cupcakes, they always seem to burn easily. I learned my lesson last year when I had to throw away 2 dozen burned cupcakes that I made for my friend’s Halloween party. This time, I took the temperature down 25 degrees and baked the cakes for about 5 minutes longer than what was listed on the directions. They came out perfect — fluffy and just crisp enough on top! I made homemade frosting instead of shelling out another $5 for a boxed frosting mix. All that’s really in those box icing mixes is confectioner’s sugar and artificial flavoring anyway. Homemade icing is always fluffier and more flavorful, at least in my opinion. And whatever you do, stay away from the Cherrybrook Kitchen Vanilla Frosting Spread. It has the consistency of melted fluff, and the flavor is horrible. I was so excited for that product, and I bought it as soon as it hit the shelves. It was so bad that I threw the whole can away. Everyone at work loved these cupcakes, especially the icing. No one even knew they were vegan until I told them. Add vanilla extract and food coloring, mix until combined. 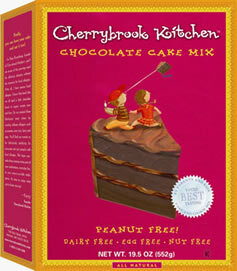 Next time you are in a hurry and in need of an easy dessert, try Cherrybrook mixes!